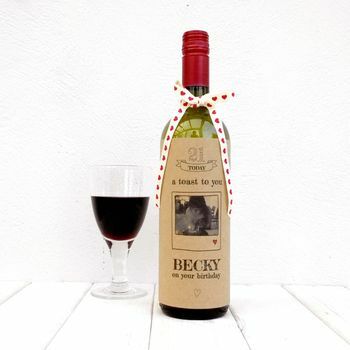 The perfect solution to avoid the awkward wrapping of a bottle whilst combining a thoughtful personalised greetings card. Perfect for any best friend who enjoys a cheeky tipple, this personalised greetings card takes the fuss out of wrapping a bottle. 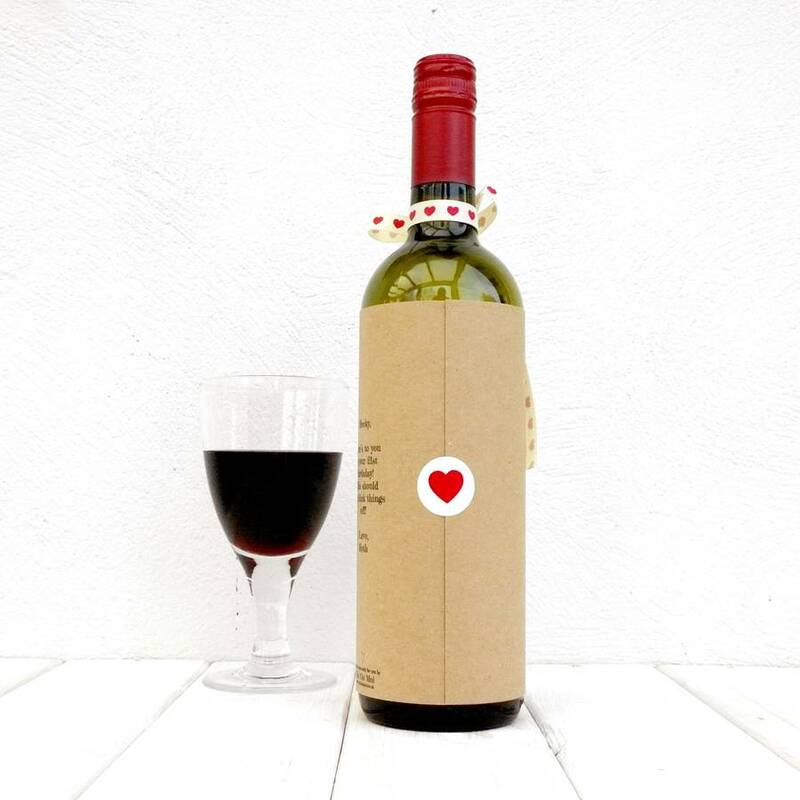 Once on the bottle, it's easy for the recipient to slide off to reveal the type and brand of wine. 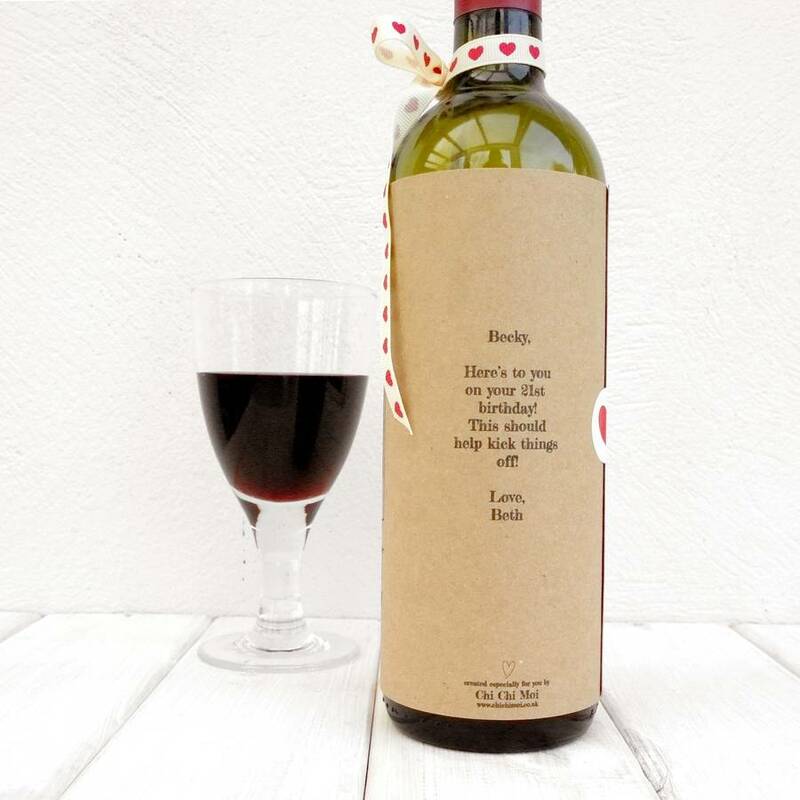 Once taken off of your chosen bottle, the card stands alone as a greetings card would. Makes a unique keepsake from your on their birthday. Personalise with your favourite photo of your sister on her birthday, or a photo with your bestie from a special holiday. Complete with your own message to make them feel warm and fuzzy inside! There's also the option to add their age just to top it all off and make you look extra thoughtful! Ivory ribbon with red hearts in the form of a bow will be provided and just needs to be popped over the neck of the bottle to add the finishing touch. Once you have placed your order, please create an order enquiry and attach your favourite photo to the enquiry. Please note the finished quality of the photograph will be dependent on the quality of the image provided. The best ones are square or traditional photo-sized! 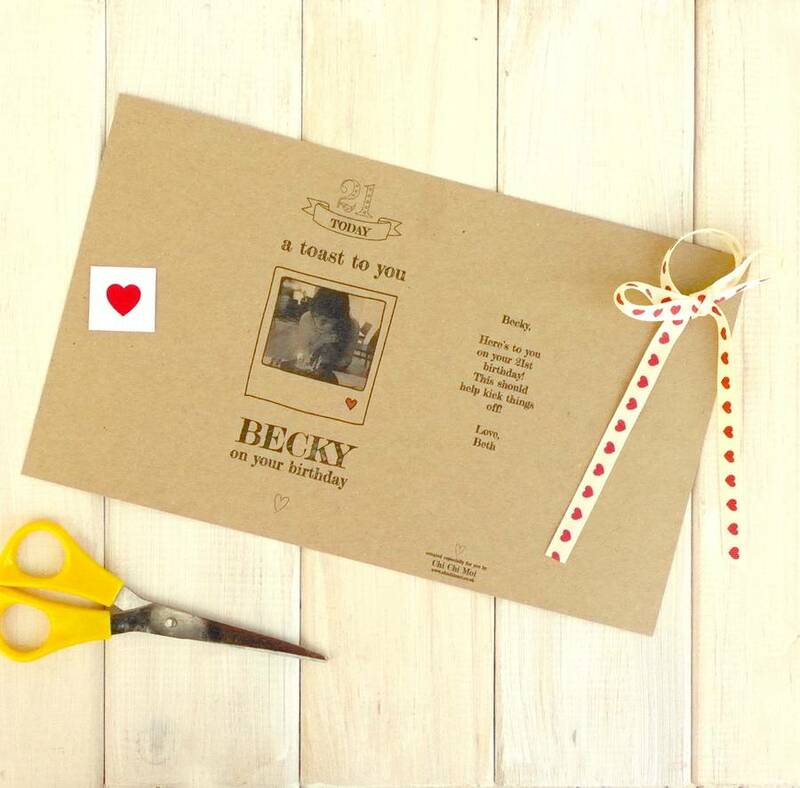 If we don't hear from you or receive your chosen photo within 24 hours of purchase we will send your card blank. 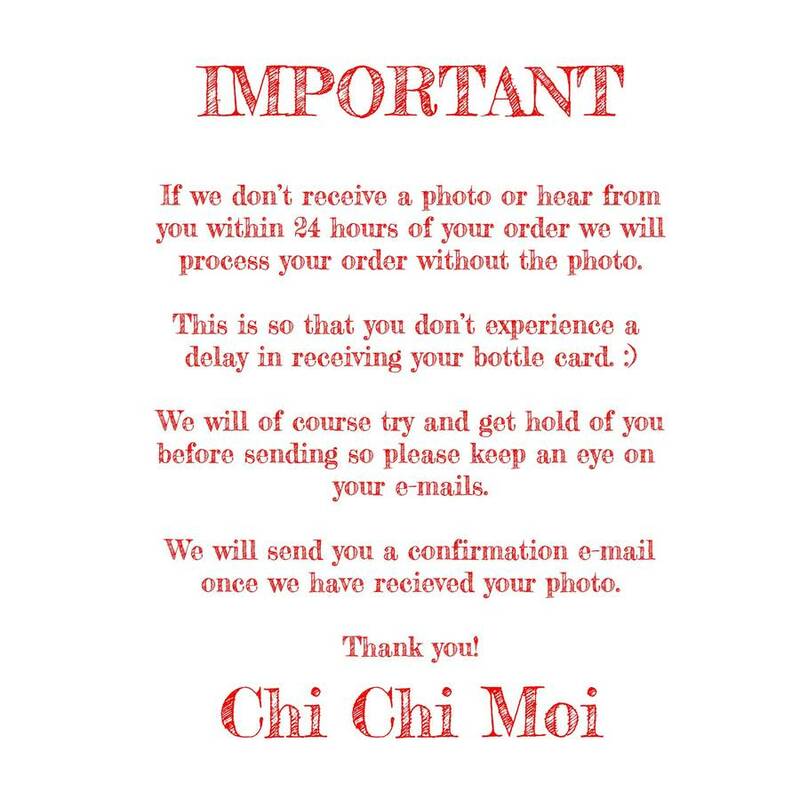 This is so you don't experience a delay in receiving your order. Fits most standard 75cl wine bottle sizes, but we have left extra room to fit slightly wider bottles.